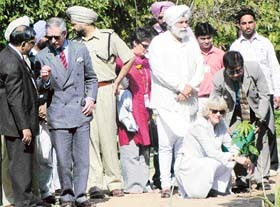 The Punjab Chief Minister, Capt Amarinder Singh, had turned down a request for giving canal water to Rajasthan pleading that Punjab had no surplus water for the neighbours. 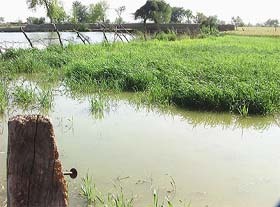 Water overflowing from a sub-canal has damaged crops, roads and houses at Bahawalbassi village, near Abohar. Inclement weather has taken a heavy toll on the wheat crop in the region and the farmers apprehend that it would push them deeper in the debt trap. Last evening’s rain accompanied with strong winds has only added to their woes. With the expulsion of Mr Mahesh Inder Singh Grewal, a former Akali minister, from the management committee of Nankana Sahib Senior Secondary School by the Shiromani Gurdwara Parbandhak Committee president, who is also chairman of the committee, has completed the ‘witch-hunt’ of ‘Tohra loyalists’. The Durgiana Management Committee was taken over forcibly by a joint committee comprising members of the Congress, the BJP and other organisations of the Hindus here today. The committee was constituted after a controversy over the breaking of locks of ‘toshakhana’ allegedly by the previous management led by Mr Surinder Arjun. Toying with the possibility of future collaboration, Prince Charles today asked the Director of the National Institute of Pharmaceutical Education and Research here to work towards the integration of the modern system of medicine with traditional systems. Internationally known sports-cultural group-the National Danish Performance Team from Denmark is so impressed with cultural heritage of Punjab that the team has decided to act as a ‘cultural ambassador’ of Punjab’s traditions during its forthcoming world tour. 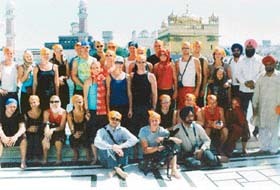 Danish performers at the Golden Temple in Amritsar. A tug of war has started between Judiciary and the Pepsu Road Transport Corporation workers union over the assault issue on Additional Sessions Judge Bua Jee Sansi. Mr Jaspal Singh held in the assault case is the state president of the PRTC’s INTEC union. India and Pakistan are keen on launching more buses to Katasraj, ancient Hindu temple and Panja Sahib in Pakistan and Ajmer Sharif, holy place for Muslims in India, to strengthen friendship . The Amritsar Cooperative Labour and Construction Union Ltd has charged the Executive Engineer, Upper Bari Doab Canal, Amritsar, Mr S.K. Singhal, with flouting rules framed by the Punjab Government by allotting work to his own agencies. A Patiala resident, Mr Manmohan Singh, has challenged the recently introduced clause in the Advocates Act, which bars anybody over the age of 45 years from applying for a licence to practice law. Two students of the local Government Medical College suffered serious injuries when they were attacked with sharp-edged weapons by some students of the BDS course in the office of Dr Subash Kaushal, head, Department of Anatomy, this morning. A son killed his father at Dhade Katwal village in this district yesterday. According to police sources, Balwant Singh a son of Ram Singh, had a dispute with his wife, Maya Devi, since long. The final examinations of graduation classes got underway amid tight security at S.R. Government College for women. As many as 95 students could not take exams as they had been denied roll numbers by the college management. Students of BA (III), who were appearing for the examination in the afternoon session, reportedly indulged in cheating. According to information, students did not stop when the invigilators caught them. Instead it is reported that they walked out along with their answer sheets. Following inspection by the Panjab University team on March 19 and the subsequent approval by the Department of Higher Education, Punjab, the way has been cleared for a law college for girls at Sidhwan Khurd near Ludhiana.